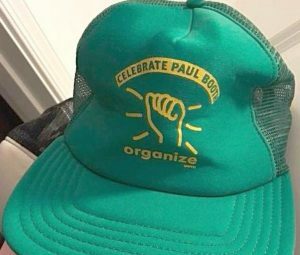 DemDaily: What is an Organizer? This is a crucial time in both the election cycle and the baseball season. It seems appropriate timing, then, to offer our readers the exceptional opportunity to win amazing baseball tickets and help train future campaigners -- all while honoring one of history's greatest organizers. Just click on the game of your choosing to contribute and enter for a chance to win four incredible seats to that ballgame (a $320 value)! $50 per chance (unlimited entries!). Contributions to the Paul Booth Legacy Trust account will help support a joint mentorship and internship program created in Paul's name. Not tax deductible.